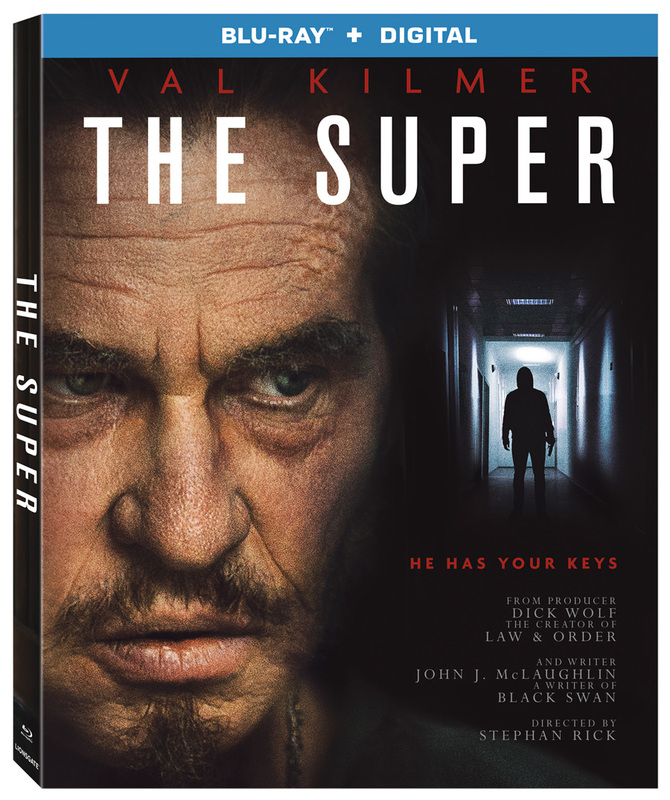 Lionsgate Home Entertainment has announced the date and released artwork for the suspense-thriller, The Super starring Patrick John Flueger, Louisa Krause, Paul Ben-Victor and Val Kilmer. Click on the link below or image to the left to check out the features and artwork. Whenever you think you’re alone, just remember that he’s always watching when The Super arrives on Blu-ray™ (plus Digital), DVD, and Digital December 18 from Lionsgate. This film is currently available On Demand. Starring GRAMMY Award nominee Val Kilmer, this taut, suspenseful thriller will have you looking over your shoulder…even when you’re home. 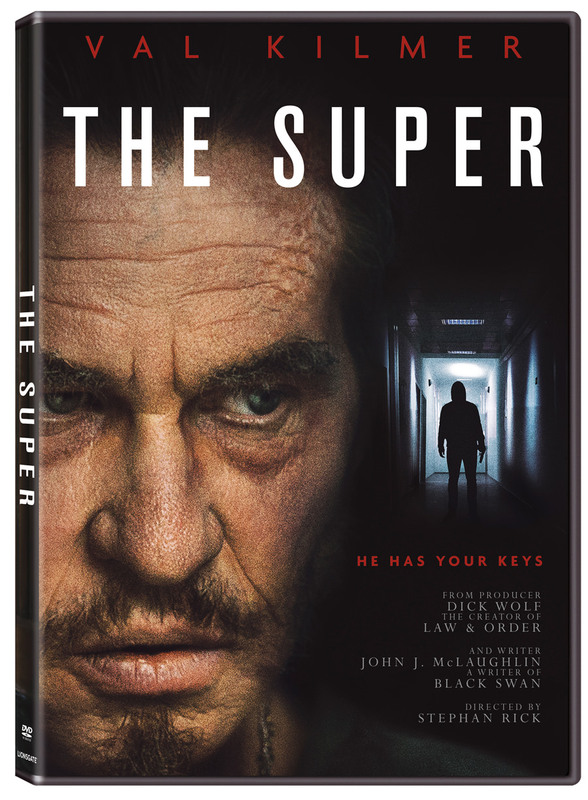 Produced by the creator of TV’s “Law & Order” and “Chicago P.D.,” written by John J. McLaughlin (Black Swan), and directed by Stephan Rick, The Super Blu-ray and DVD will be available for the suggested retail price of $21.99 and $19.98, respectively. Former cop Phil takes a job as a superintendent in a Manhattan apartment building. When a teen goes missing, along with several other tenants, Phil suspects a sadistic murderer may be roaming the eerie corridors and that his daughters’ lives are in danger. But whom can he trust when everybody around him has something to hide?